Which incidentally, is what's been happening to us over the last month as so many of you have asked us to bring our Immersion Events to the UK for the first time ever. Well, we've answered your call and Kimberly just booked our airline tickets so we can be in London to present our first European Immersion Event of the year! June 20th to 25th we'll present our Immersion Event on Internals and Performance in the London area. We're still deciding which hotel to use for the event, but it will be somewhere within 15 miles of Heathrow Airport. As the first line of the title track from the album says: "London calling to the faraway towns…"
PS We're heading out the door now to fly to Dallas for our first Immersion Event of the year – it's a full house with some great folks and we're *really* looking forward to it! Great news, its in the diary. Hope I can make it. Ooooo exciting stuff! Need to try and find chequebook and speak with my stressed bank manager. I’ll be there. I enjoyed last year’s one-day Heathrow Event. 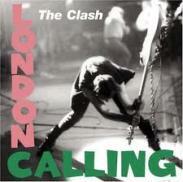 London calling to the imitation zone: "Forget it, brother, and go it alone"